Legolas: Lembas! One small bite is enough to fill the stomach of a grown man. Merry: How many did you eat? I hope to complete a thousand-mile section of the Appalachian Trail this summer (2012), and intend to resupply via mail drops along the way. Since all food will be packaged into boxes suitable for mailing before I start, and because we do not have sufficient refrigeration space for 10 boxes of food, long shelf life will be essential. I covered dinners in a previous post, but how about lunches, which tend to be no-cook? On my previous long hike on The Trail in 1988, I used some assorted commercial granola bars (Quaker assorted and possibly Nature Valley), but also made my own. Since I could not be assured of long shelf life with home-made bars, mine were consumed earlier in the trip. I was getting rather tired of store-bought bars by Virginia. I also used both commercial beef jerky and my own home-made, and consumed my own earlier in the trip for the same reason. (Beef sticks and pepperoni sticks were also used, but I experienced problems digesting the sausage casing.) I found a kit to produce beef jerky out of lean ground beef using a special press, which helped stretch my trail-food dollar as a grad student. While I am not exactly a purist and will allow some store-bought jerky, protein bars, and granola bars this trip, I want to make some of my own food as well. What recipes are reported to have a shelf life of several months? Native Americans made this food with dried lean meat, dried berries, and rendered animal fat. Atkins reports that pemmican will stay good for several months. A chewy dense bread that hikers report good results lasting several months, Logan bread originated during the 1950 expedition to 19,000 foot Mount Logan in the Yukon. I won’t bring much of this, and it’s actually more practical for dinner or breakfast when you have a hot beverage to dip the tack into to soften it up, but for the sake of history and fun I’ll make a batch. 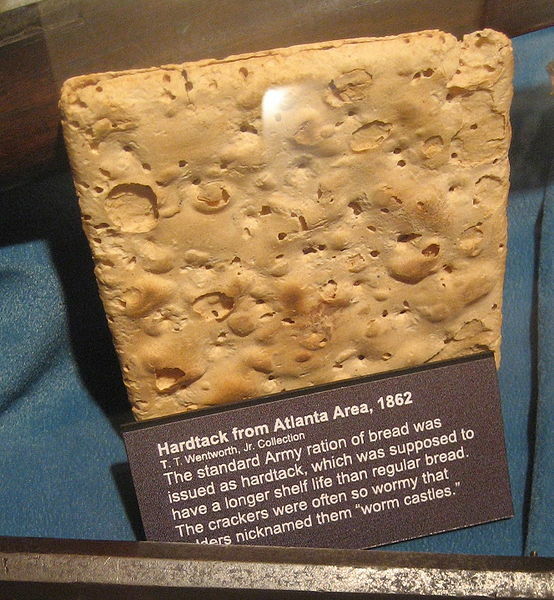 Hardtack is a biscuit or cracker made from flour, water, and sometimes salt, often used in sea voyages and military campaigns. During the American Civil War, soldiers would dip their hardtack ration in coffee, and let weevils float to the top for skimming. Recipe 1, 2. 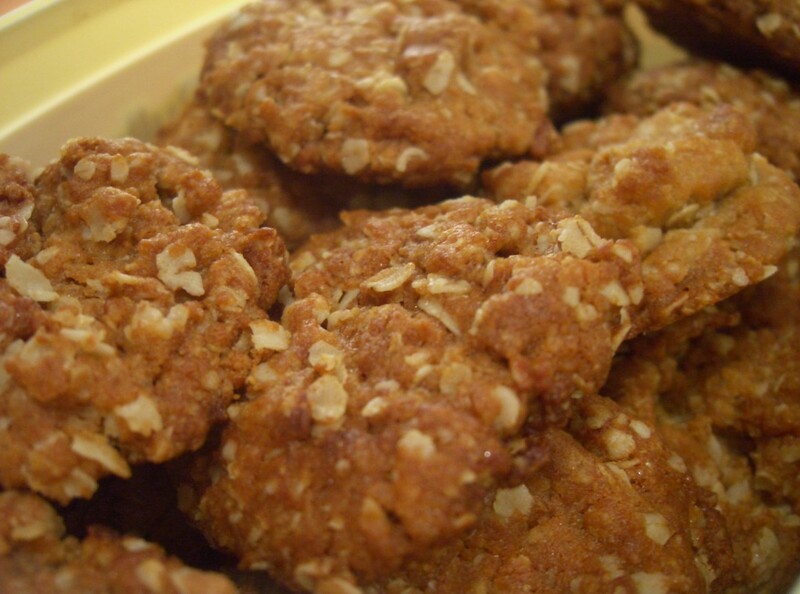 A sweet biscuit made with flour, oats, and dried coconut, originating during or shortly after World War I, sent by wives to Australian and New Zealand soldiers abroad. Able to keep well and survive ocean transport. Does not contain eggs, a staple that tends to be rationed during wartime. What about protein bars or granola bars? Anyone have a good recipe that is guaranteed to last for several months? Anyone? As we get closer to my “trail food boxing day” I will report on making each of these recipes.